Do you prefer gospel, jazz, salsa, rock, r&b, classical or soul? Whatever your preference is, what you learn in one genre can be applied to another. 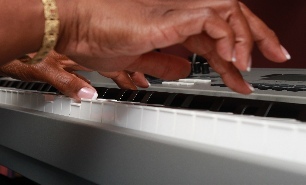 You can’t lose using these online digital piano lessons. What’s even better, you can learn songs quickly using our Song Robot Software. ...want to buy a single course or are you interested in our complete line of courses? 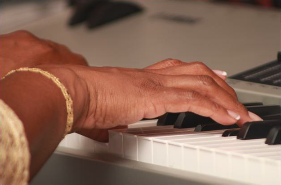 Take your skills to the next level with an all-in-one investment and learn to play piano more skillfully. (1) Click on the image below. Have you ever heard a musician play a song on the piano and wanted them to show you how to play what they were playing? Well, you can do this now using the Song Robot software. This little but robust tool is what I needed when I so desperately wanted to learn how to play the piano as a kid. But, as an adult learner, I am just happy to have this tool now. Better late than never. It is easy to use, and all you have to do is load midi or .mp3 files into it, and it will show you how to play the song you load. It allows you to slow down the tempo or you can speed it up as you need. That’s incredible! Don’t delay–change your life one note at a time! 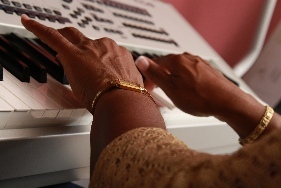 Learn how to play in ALL 12 Keys with this tool ...speed up the learning process.